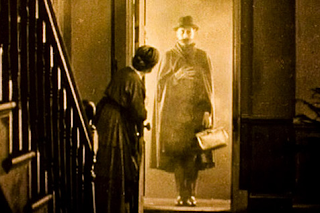 A still image from Hitchcock's "The Lodger." The arresting image of the unknown stranger in an insignificant lodging house has become one of the most recognised from the era, but few people are aware that the story itself was based on a very real incident from the time. Marie Adelaide Belloc Lowndes wrote "The Lodger" in 1913 and over the intervening quarter century, the original tale of the landlady with a suspicious house guest had all but been lost to time. However, Lowndes claims to have found inspiration for her latest tale after eavesdropping upon a conversation between two friends at a dinner party, who provided the outline for what would later become her book. 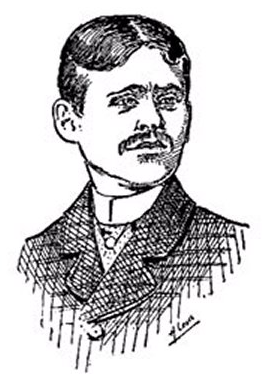 The story was that a relative of one of the guests believed herself to have rented a room to Jack the Ripper during the autumn of the murders. The tale had clearly changed somewhat from 1888 as the house was now far grander than the lodging house on Batty Street and had a maid and a cleaner. Others have pointed out that Lowndes was not the first person to recall such a story. Artist Walter Sickert had for years believed that he had stayed in a room in a lodging house where the Ripper once slept and noted psychiatrist L. Forbes Winslow believed that the murderer had been renting a room in Finsbury Square. By 1913, it is quite possible that the concept of the lodger had become a sort of urban legend. A piece of folklore that had arisen in response to the crimes. However, the details of all three of these stories are strikingly similar enough to the real life case of the Batty Street lodger, that many believe that they are simply retelling and expanding the original tale. The murder happen at number 16, Batty Street. Just three houses down lived Mrs. Kuer, a widowed landlady of limited means who made her living mostly by renting out the room above her. She was in her mid fifties by 1888 and had lived in her house for several years at that time, after having emigrated from Germany at some unspecified year before. Over the Autumn of 1888, Mrs. Kuer had taken in a lodger who she would later claim was prone to late night jaunts which often coincided with the Ripper murders. He was said to have been well dressed and possibly wealthy and "foreign born." The mysterious lodger left on the morning following the "double event" after Mrs. Kuer had been handed some clothes to clean. Among these garments, she discovered a shirt with blood stained cuffs and sleeves. Mrs. Kuer reported her findings to the police who launched an investigation, whereupon the details become somewhat hard to ascertain. Some reports claim that a man was arrested and released, others that the police became unconvinced by Mrs. Kuer's story and its inconsistencies. 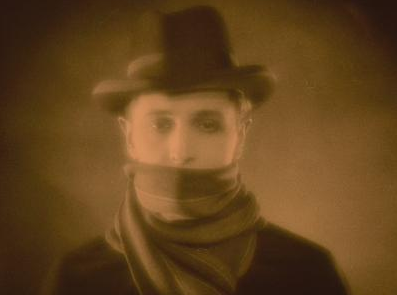 Ivor Novello as "The Avenger" in "The Lodger." MODERATE SPOILERS FROM HERE ONWARDS! In 1888 the Batty Street lodger tale is retold with respects to Mrs. Kuer's story being accurate. The lodger is revealed to be Francis Tumblety, who quickly flees from the lodging house once he discovers that his blood stained clothes have been discovered. Mrs. Kuer's identification of her lodger as being a rather nondescript "foreign" may seem to rule out an American as that accent seems so familiar to our ears as to be instantly recognisable. However, this was probably not the case in 1888 as without the influence of film and television, an American dialect was likely to be as hard to place as any other. Whoever the Batty Street lodger was, his story and that told by Mrs. Kuer, have become part of the folklore of Jack the Ripper. It is a fascinating, eerie tale that has survived for so long because the idea of being so close to a dangerous stranger who is quietly living in our midst, is possibly one of the most terrifying I can imagine.